May be you all are aware with this, but i thought i should share this simple example. 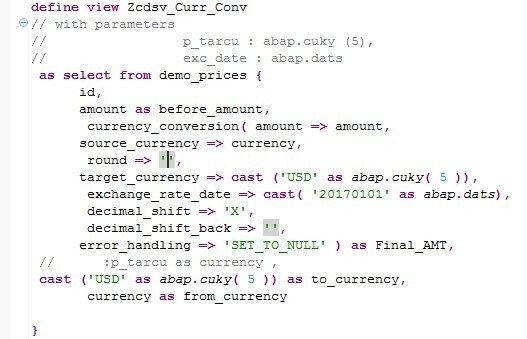 Below example explains the use of parameter DECIMAL_SHIFT and DECIMAL_SHIFT_BACK in CDS function CURRENCY_CONVERSION (ABAP 7.40). DECIMAL_SHIFT– If the value “X” is passed to the parameter decimal_shift, the value passed is multiplied by 10 to the power of two minus the number of decimal places of the source currency before it is converted. 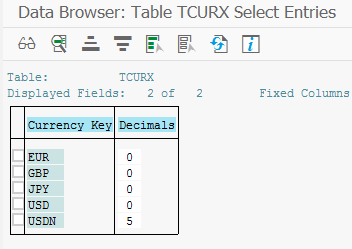 DECIMAL_SHIFT_BACK– If the value “X” is passed to the parameter decimal_shift_back, the result is divided by 10 to the power of two minus the number of decimal places of the target currency before it is converted. 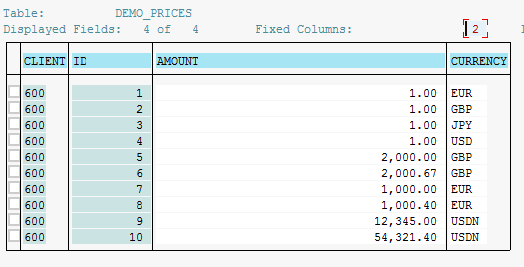 in this example target currency is USD only, even though we can take input via parameter also. I hope above simple example will clear the doubts in using decimal_shift & decimal_shift_back.